GEF Trainee Oliber Mack was trainee of the month for February. 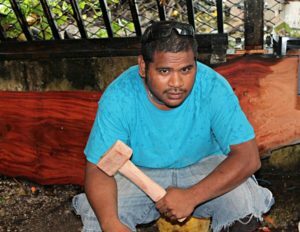 His family is from Aelõñlaplap and his wife and son are living with him here in Majuro. He is very happy to be able to increase his knowledge and talents by participating in the GEF program at WAM.